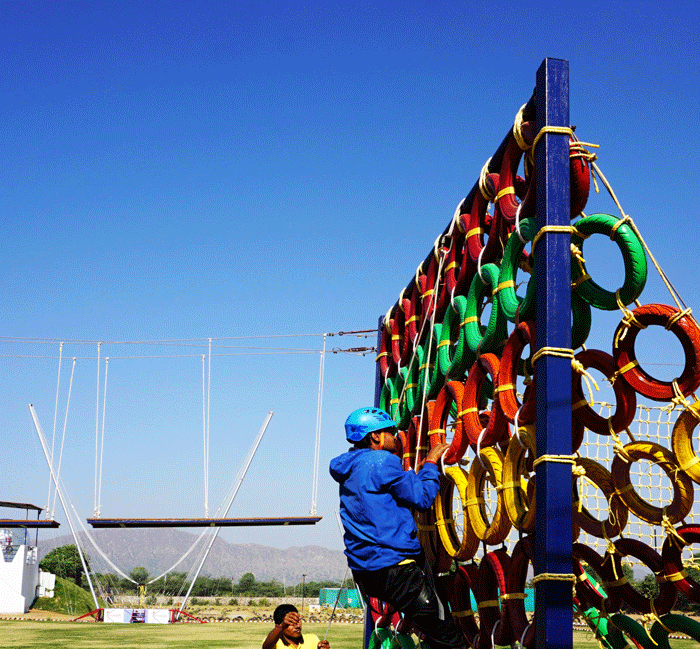 Spread across 7 acres of vast land, the adventure park is situated in Pushkar, Rajasthan and is the first integrated Adventure Sports Park offering activities such as Rock Climbing, Zorbing, Quad Biking, Obstacle Course, Bungee Jump, Parasailing and much more. we guarantee your full safety. All our equipment has been sourced from the best of suppliers in the industry and most of our specialized equipment has been imported from Petzl(USA). Our promoters bring a large amount of experience from diverse fields of travel and tourism, adventure sports, management, and logistics couple with unbridled enthusiasm into this venture. For our guests visiting the major cities of Ajmer, Kishangarh, and Jaipur, the location is a perfect getaway for a day visit. Guests visiting us from other places can look forward to exciting packages with a simple booking method. 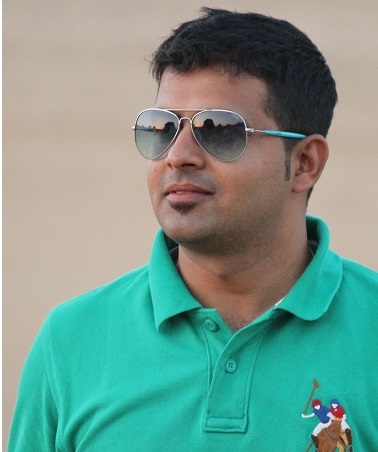 Udai is an MBA graduate from BIMTECH, Noida and completed Bachelors in Economics from M.S. University of Baroda. He is a fitness and sports enthusiast and has worked with the Commonwealth Games Delhi as Assistant Project Officer. He was also the Project Manager of Delhi Daredevils and Vice President of Cougar Motorsport before venturing into Adventure Sports Tourism. 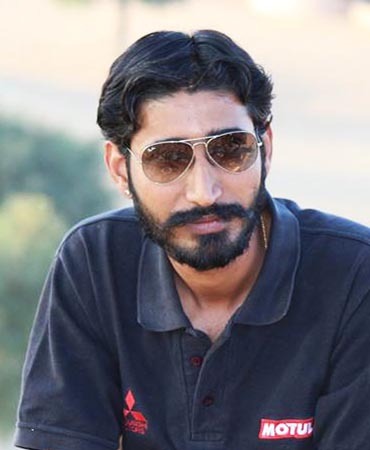 He is the Director of Xcapade Adventures Pvt Ltd. He also manages a company called Falcon Adventures that organizes tours throughout the country and cross border tours as well. He hails from Rajasthan and being a Rajput, hospitality comes naturally to him. Vaseem is the go-to- man of Xcapade Adventure Park. Born and brought up in Pushkar, he knows the ins and outs of the entire town. He is responsible for handling the day-to- day operations of the park. Popular among guests for his energy and hospitality, Vaseem also loves animals and one will witness him around his two mares named Kajal and Raani. 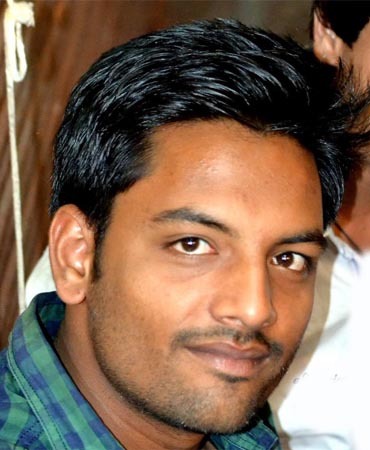 Tarun pursued MBA from BIMTECH, Noida and completed his Bachelors of Engineering from SRM University, Chennai. Always a rank holder in his academic pursuits, he hails from Ajmer, Rajasthan. Following his education, Tarun gained valuable experience working in the corporate sector. He worked with Biyani group for a year before joining his family business in 2011. Always up for an adventure, he is the man behind the pristine landscape and layout of the adventure park. A workaholic who squeezes time for traveling and visiting new places is how Tarun enjoys describing himself.